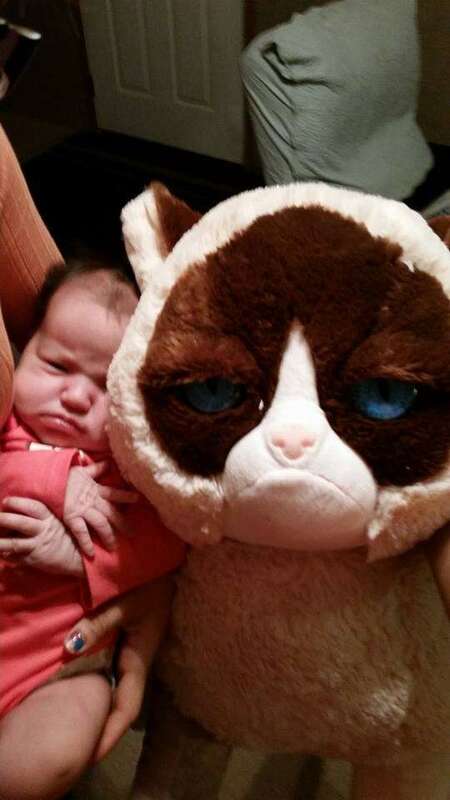 Only a month old and already has the grumpy cat look down! It fits her well. Grumpy cat or grumpy kid? Lol, so much holiday cheer in one photo.